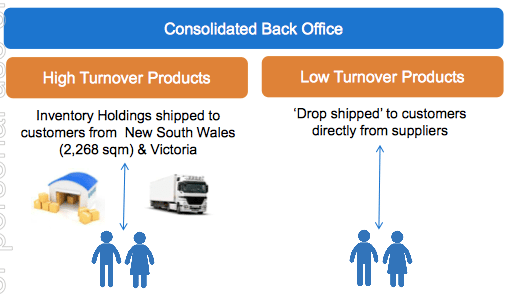 Last time we brought you news on Shoply Limited (ASX:SHP) we said it was targeting 250% revenue growth for Q1 of 2015. Well, we’re glad to say that was wrong – SHP actually hit a record high of 273% quarterly revenue growth with $3.6M in cash receipts in Q1 2015. This pure play online retailer is accelerating everything it’s doing and building some serious momentum for the Christmas sales period – a bumper time for retail when Aussies can spend close to $30BN . In preparation, SHP is boosting up its stock reserves, adding staff and pumping up its advertising. But most importantly, it’s working hard to integrate the sales and operations of the online companies it’s spent most of 2014 acquiring. SHP owns seven (so far!) Australian online retail stores, which sell everything from high-end kitchen appliances, toys and baby strollers to power drills and computers. The big plan is to grow each business as much as possible then eventually combine their retail firepower under one digital roof – Shoply.com.au All seven of SHP’s online retailers are now contributing to the sales pot. We reckon the 273% uptick in revenue shows SHP is on the right track and potentially heading for some even bigger numbers in this quarter with Christmas as the big target... Oh and it still has $2.9M cash at bank at the end of the last quarter. SHP first came onto The Next Tech Stock’s investing radar back in June when we first became long-term investors. The article ASX Tech Junior: Final Nail in the “Bricks & Mortar” Retail Coffin? covers just about everything you need to know about SHP’s plans to acquire top notch online retailers, put them all together and become one of Australia’s leading pure play online retailers. Plans are one thing – results are another – and just one month after our first article on SHP, the company reported record online shopping revenue growth for Q4 of 2014 – which we covered in Revenue Up 94% for Cashed Up Shoply... 250% Growth This Quarter? But now it’s a new financial year down under and the Q1 September quarter figures for SHP – sales revenue up 273% – leave the last set of numbers in the dust! In this update we’re going to run you through the record quarter of sales revenue SHP has just had and look ahead to its plans for the Christmas sales period right through to the Boxing Day rush and the New Year’s splurge. We could end this article with that graph – it tells the story perfectly. But as long-term investors we like details and SHP’s first quarter of the 2015 financial year breaks down like this: Total sales revenue for the quarter ending 30 th of September 2014 was $3.5M – representing a 273% increase on the last quarter. Cash receipts for the quarter were up 232% for the quarter and totalled $3.6M (up from $1.1M). And as you can see in the above graph this is the fourth consecutive quarter of growth for SHP – big growth too, not just a few extra dollars here and there – we’re talking hundreds of per cent gains in sales gathered from its seven online retailers: Your Home Depot – High-end kitchen and home goods Warcom – IT and computer products Eljo – Electronics, white goods and appliances EzyDirect – Electronics, stationary and home and office products Ohki – Just about anything you can think of WowBaby – Baby goods Toystore – Toys and games All owned by SHP. SHP is planning to launch two more online retailers – homeappliances.com.au and sportinggoods.com.au , which will allow it to cover almost every category of online retail in Australia. With so many companies putting their sales money into SHP’s pot, the big question is what caused the 273% jump from the last quarter? Well, in the last quarter of the 2014 financial year SHP spent $3M to complete the acquisition of two retailers – YourHomeDepot.com and Warcom – and both companies had only had three weeks to contribute to SHP’s bottom line. But for Q1 of the 2015 financial year both companies are firing on all cylinders for SHP and contributing their big sales volumes. Overall, SHP has hired more staff and increased its advertising budget so each of the companies under its wing is getting bigger, better and gaining more exposure – bringing in more and more customers and making more and more sales. It’s been a great quarter for SHP – but it’s the next one that really has our attention. The Christmas period is absolutely crucial for retailers – it’s the end of year bump they all look forward to as people buy presents for others or treat themselves to a new flat screen TV or two. Data from industry research group IBISWorld showed Aussies would spend $28.1 BN in the December 2013 period. We should start to receive December 2014 retail predictions as we get closer to December. But SHP wants it to be even better. The big reason for the redesign is that SHP says 50% of the site’s customers make purchases from smart phones – so the site needs to be more optimised for that platform to rake in more sales. So far SHP says it’s spent $100,000 on the redesign and the new mobile sites should be available in November of 2014 – again right in time for Christmas. For the big picture, SHP says it’s working hard to integrate each of the customer facing online stores it has by linking them together, allowing each site to drive traffic to the other and vice versa. This is a factor that could see SHP achieve another quarter of record sales growth over the Christmas period – and beyond – as customers buy themselves a set of pots and pans from YourHomeDepot.com.au and then get a teddy bear and a PlayStation 4 from Toystore.com.au for their kids. SHP just experienced a record quarter of sales growth – up 273% – where for the first time, all seven of its online retailers contributed their full sales figures to the pot. The first quarter of 2015 has been an enormous success – but it was a regular financial quarter. 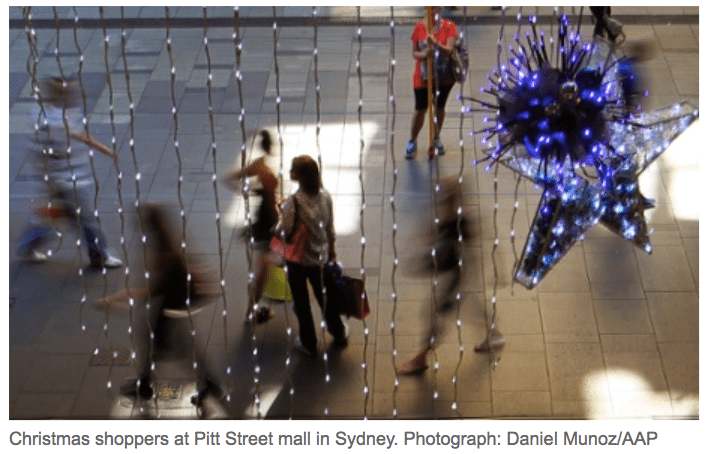 The second quarter contains Christmas – the time of giving and, more importantly for SHP, big retail spending. 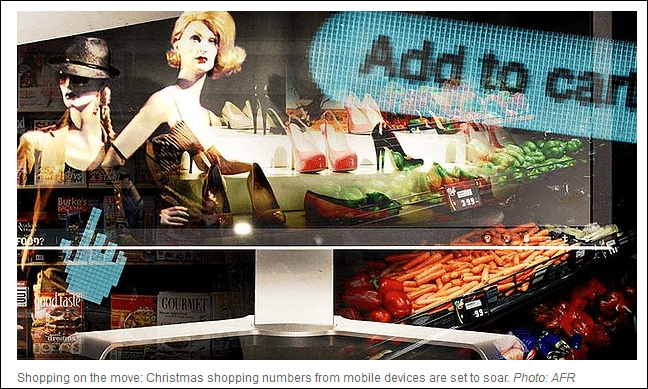 Australians spend around $30BN at Christmas and online retail is booming. SHP has positioned itself perfectly with seven online retailers and an extra 20% inventory in reserve so it can satisfy any demand. We’re looking forward to the next set of quarterly figures! We’re also keeping an eye out for any new acquisitions from SHP. It’s had a great 2014, snapping up online retailers and pushing them higher and faster. It still has $2.9M cash in the bank and an aggressive strategy of expansion driving its ambitions. If it can achieve a 273% growth with seven retailers, what could it do with a few more in its arsenal. We wish SHP and its investors a happy holidays – and we look forward to unwrapping the sales results in the New Year! 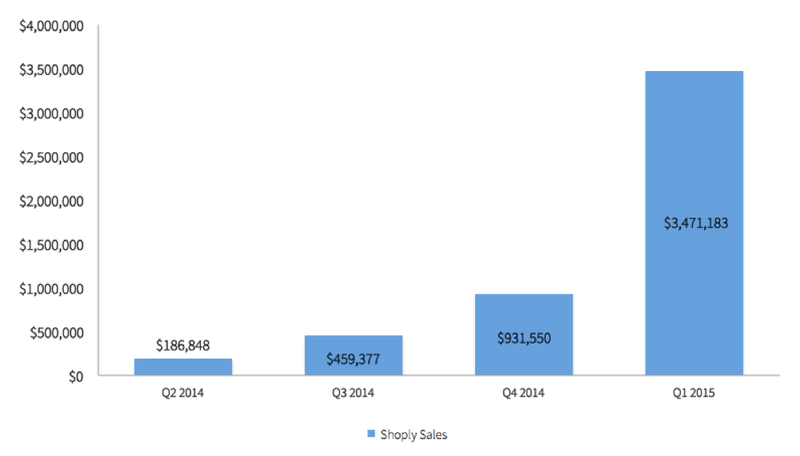 Revenue Up 94% for Cashed Up Shoply… 250% Growth This Quarter? ASX Tech Junior: Final Nail in the “Bricks & Mortar” Retail Coffin?